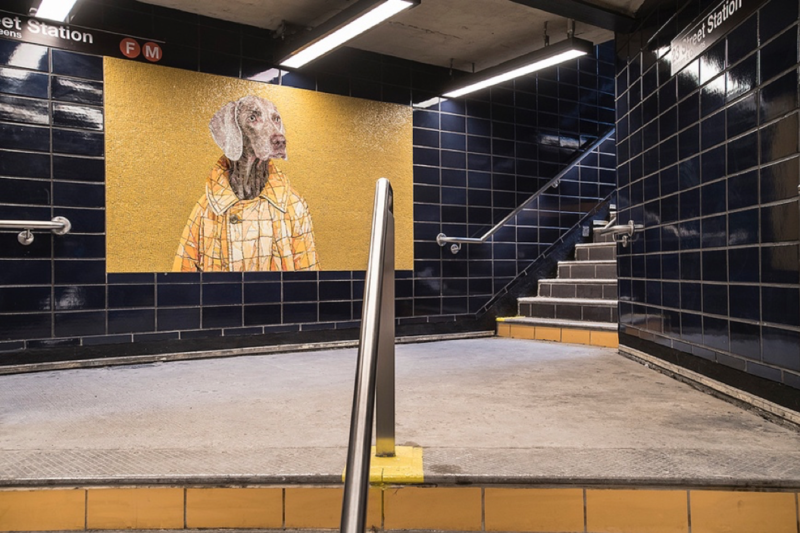 If you arrive in NoMad via the F or M trains at the newly renovated 23rd Street Station, you’ve no doubt noticed some new additions to the walls—specifically, an 11-mural mosaic installation by Chelsea-based artist William Wegman. 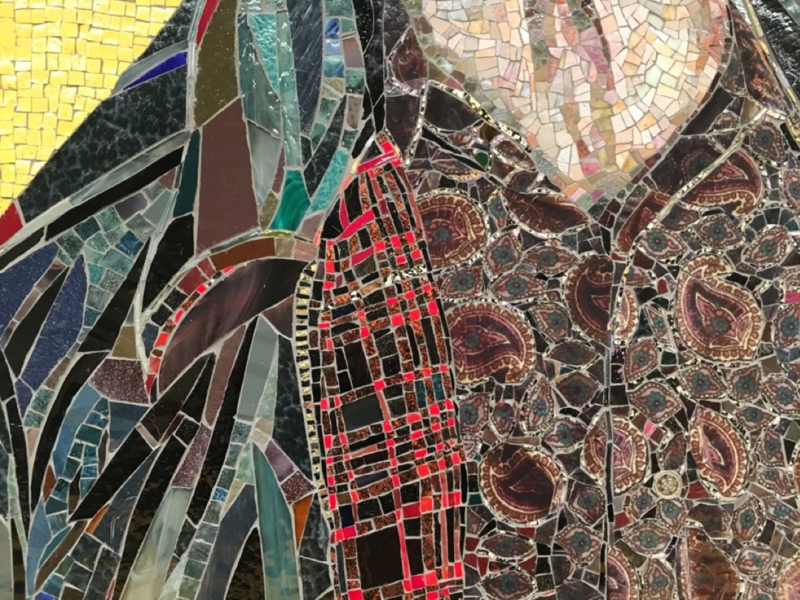 What you might not know is that the installation itself was executed by a Kew tenant, architectural glass/mosaic studio Franz Mayer of Munich. 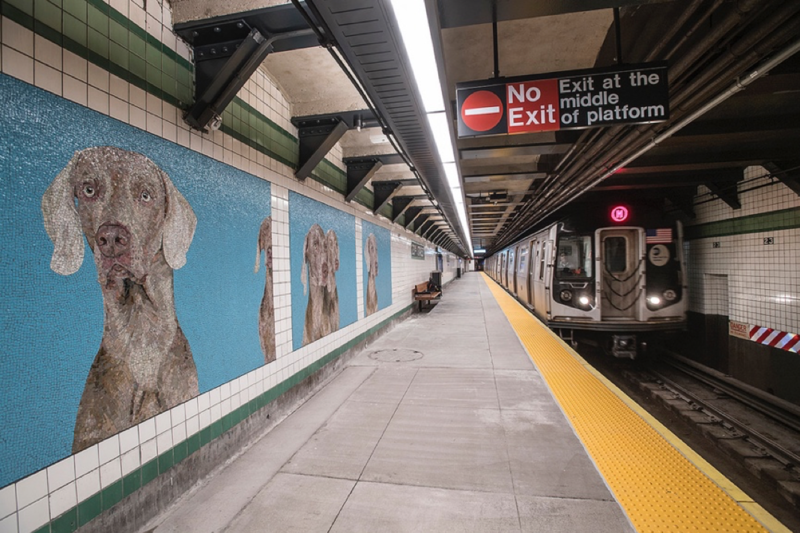 The MTA commissioned Walter Wegman, a photographic artist celebrated for his portraits of his Weimaraner dogs, to create the 23rd Street art installation. 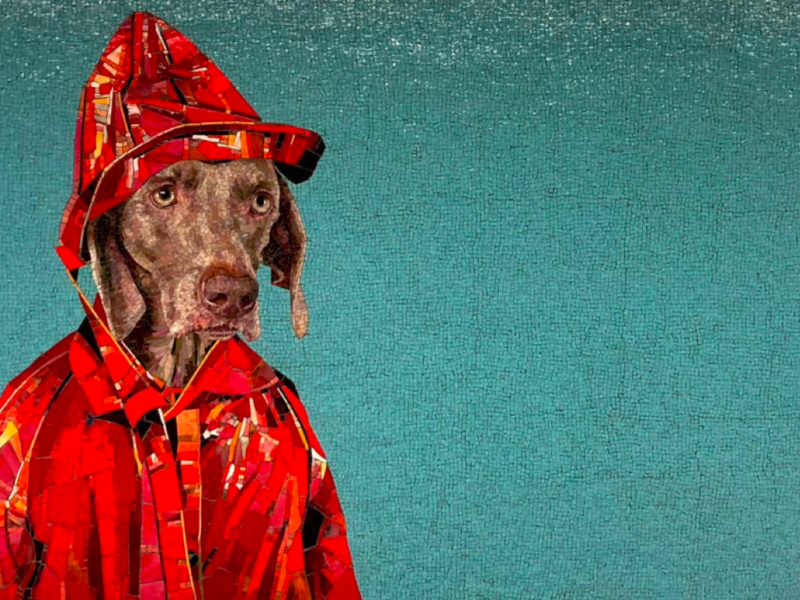 Collectively named “Stationary Figures,” the murals depict Wegman’s Weimaraners, Flo and Topper, in a quirky set of poses, including wearing human clothes as though they were commuters waiting for the train. “I wanted to create portraits of individual characters, people who you might see next to you on the platform,” explained Wegman in a statement. 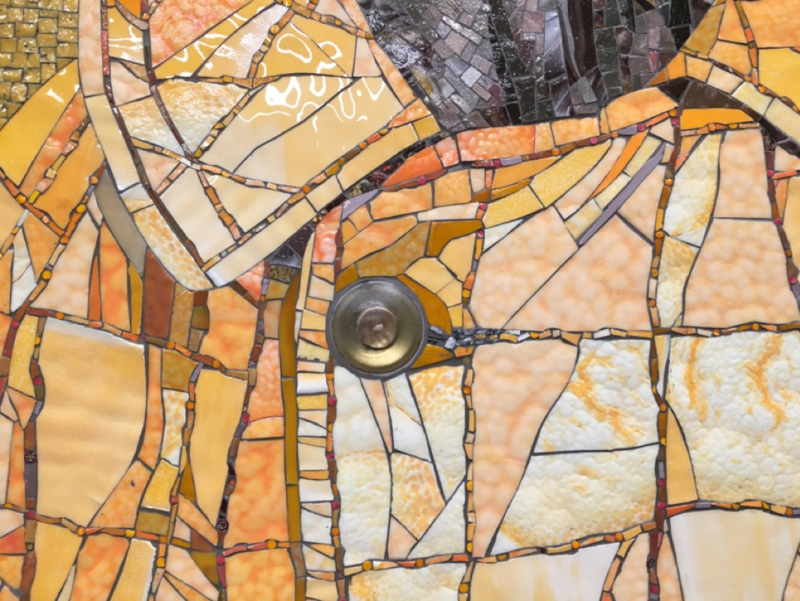 Franz Mayer of Munich, which has its New York office in 1123 Broadway since 2014, was asked to convert the photographs into mosaic form and install them in the subway station. The entire process took two years from start to finish, including about six months to fabricate the glass pieces. “Stationary Figures” is only the most recent MTA mosaic project of Mayer, whose handiwork can be found in Vic Muniz’s art installation at the new 72nd Street “Q” Station and in the inspired installation “Under Bryant Park” designed by Samm Kunce in the crossover from the 6th Avenue line to the No. 7 train station at Fifth Avenue. Mayer has created a number of other art works in the subway system as well. Franz Mayer of Munich is celebrated globally for its mosaic and stained glass work. 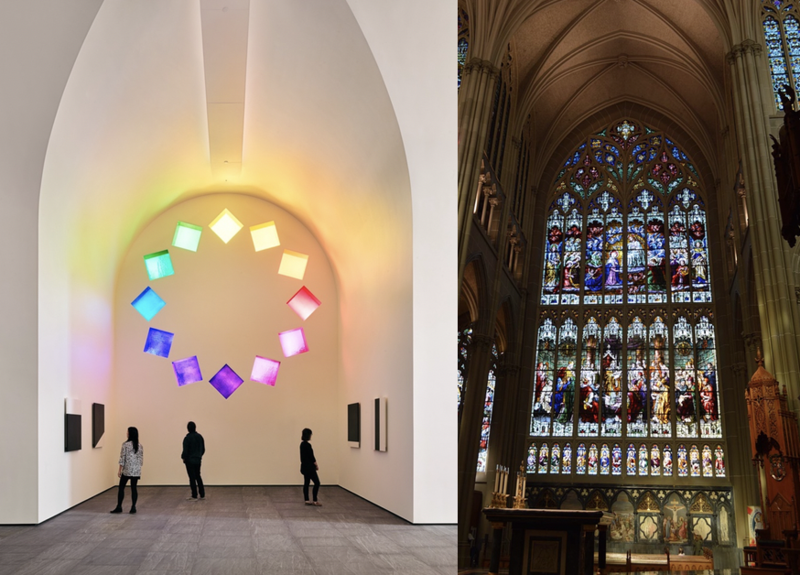 Since its founding 150 years ago, the company has designed and installed stained glass in over 100 churches. 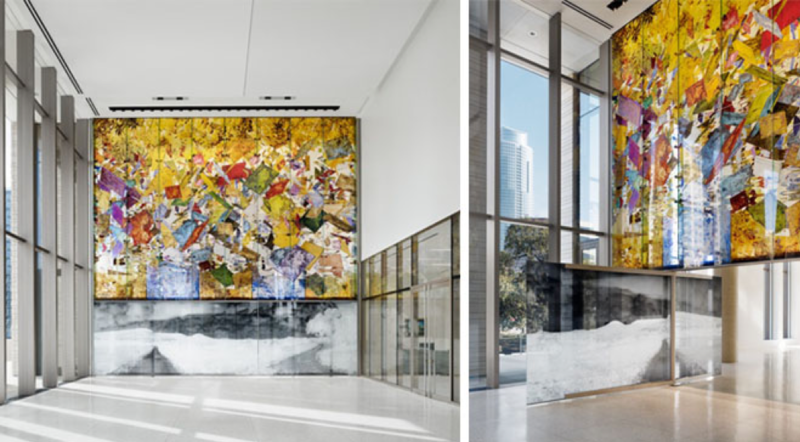 Additionally, Mayer has created works of art for private venues, corporate headquarters and public spaces around the world such as Kazakhstan’s Pyramid of Peace to New York City’s own Staten Island Ferry Terminal to the Ellsworth Kelly Chapel. The firm’s art creations range from traditional work to technically challenging, modern projects. So esteemed is the company that it has even been called on to restore the mosaics at Pompeii. Clifford Ross Austin Wall in U.S. Federal Courthouse, Austin. Our congratulations and thanks to Walter Wegman and Franz Mayer for making the 23rd Street Station a marvelous place to wait for a train.